P.J. Cook has been an artist since childhood when she was encouraged by two uncles that were also painters. By age 15 she started painting commissions of boats and animals as people began seeing her art. From there she attended Paier College of Art where she received a Bachelor of Fine Art. After many years working as a commercial artist designing and illustrating in advertising and corporate settings she went back to painting full time in watercolor and oil. P.J. enjoys the waters of Florida and New England where she often finds inspiration. The beautiful coastlines of Southeastern Florida and New England provide the ideal setting for the natural environments seen in her paintings. 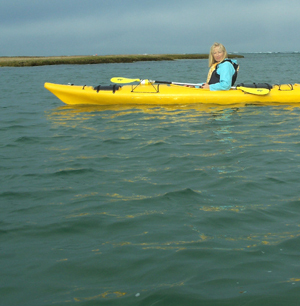 Kayaking along the ever changing coast has enabled PJ to capture shore birds in their natural surroundings and has become a favorite subject for many paintings. Over the years she has received many awards for her work in juried competitions. P.J. teaches private and group watercolor classes in Connecticut during the summer months and Southeast Coast of Florida during the winter months. Contact for availability and information.